And the photographer Steve Liddle caught another image of me close up and looking somewhat pensive. I have no idea what was on my mind! 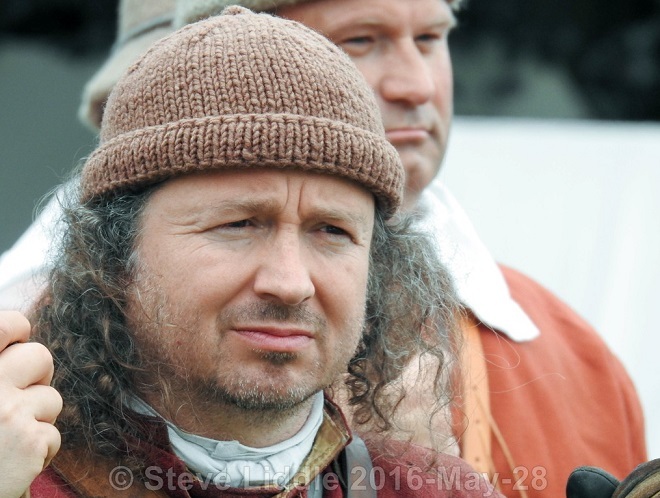 There are many more of Steve’s photos at steveliddle.smugmug.com/Sealed-Knot-2016/Newstead-Abbey/. I can learn a lot by reading history books, but I gain a different kind of knowledge, also useful, from taking part in these reenactments: How small one feels when the horse soldiers are galloping by; how your ears ring when even a small field piece goes off close to you; the ease with which one can fall into step with the drums during a march (and the aching legs and back that comes with it); and the disorientation when suddenly the ranks and files around you have lost their form. 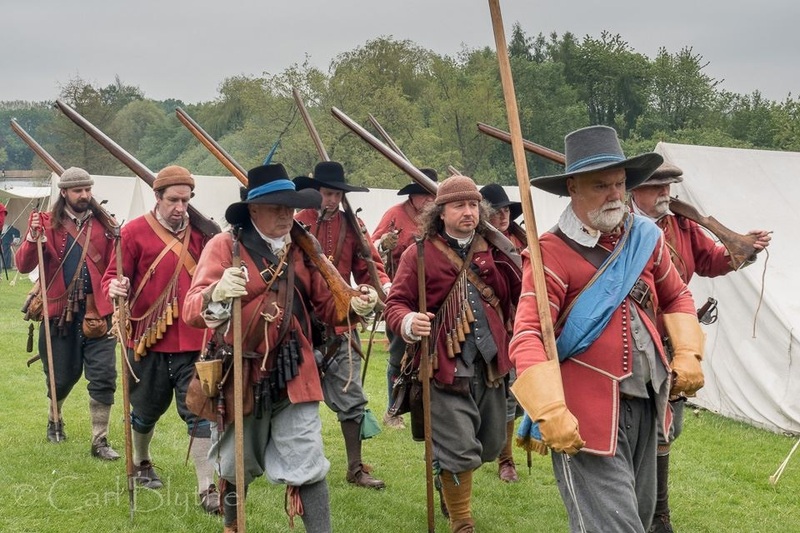 Click on these links to find out more about my civil war characters for school visits, the Civil War Castle Governor and Civil War musketeer.